 Brinch & Partners is a part of the global network IMSA International Executive Search. The network consists of more than 25 Search companies, located on five continents. IMSA has for more than 25 years combined local expertise with an international view – we are therefore the ideal partner locally, regional and internationally. We work closely with our partners in IMSA, in order to solve international recruitment assignments for our danish clients – primarily on management level. The complexity of cross-border assignments is typically greater. Even so, our well-proven process, combined with our expertise concerning local conditions and in-depth industry knowledge, have shown to be key to ensure a successful search-process. Simultaneously, the international network is an important knowledge source in regard to new trends within technology, management, market development among other factors. It provides an overall platform that allows us to solve assignments in a way that actively supports the international strategical and operational objectives of our clients. If you have an interest in the partnership or you need more clarification, please contact Partner Martin Bo Sørensen by phone +45 27 84 73 06 or Partner Jens Christian Jensen by phone +45 27 84 73 05. Read more about IMSA here.